Also And Quiet Rolls the Day. 1979. Directed by Mrinal Sen. In Bengali with English subtitles. The article contains plot information, however the plot is not the main focus of the film and its ending is ambiguous. 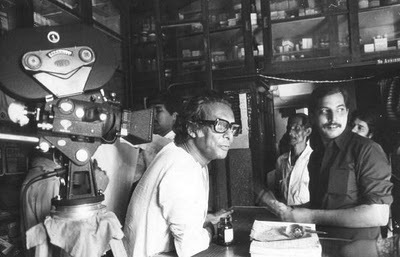 Mrinal Sen is among the leading independent Bengali directors, along with Satyajit Ray and Ritwik Ghatak. Like Ray he was involved in the Calcutta Film Society: and like Ghatak he worked in the Indian Peoples’ Theatre Association. However, he has his own distinctive themes and style, and he was a pioneer in what became known as the Parallel or New Indian Cinema in the 1970s. The major political influence is less Partition [which was central to the films of Ghatak] and more the Naxalite Movement of the 1960s. This was a Marxist-Leninists grouping that split from the official Communist Party of India. Their popular name came from actions in Naxalbari in Bengal in 1967, where peasant seized lands and dispensed ‘people’s justice’. 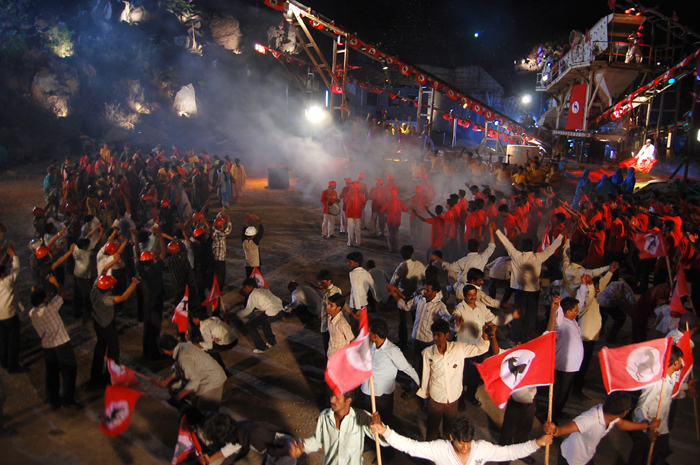 Though the movement was suppressed its political influence and ‘Naxalite struggles’ continue in the sub-continent. 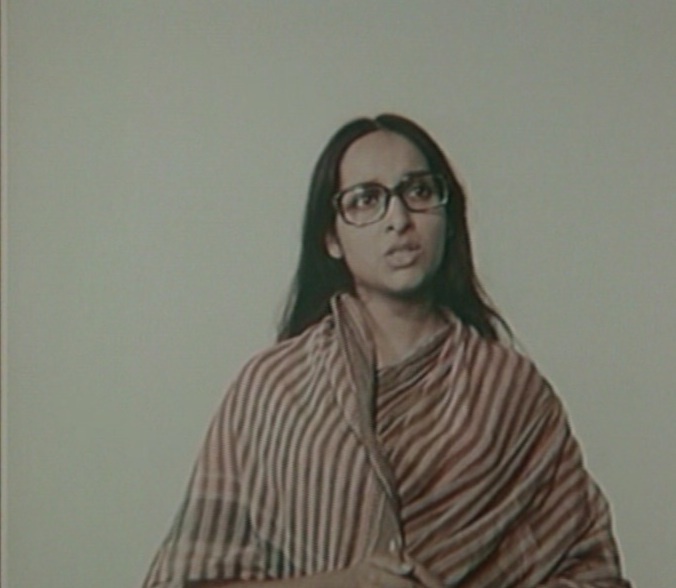 These politics are clearest in Sen’s Calcutta Trilogy, especially the second film Calcutta ’71 (1972). Ek Din Pratidin is less overtly about politics, but it displays the stylistic stance that Sen favoured in his early career. This film also fits into a trilogy, essentially of family melodramas. The other two titles are Ek Din Achanak (Suddenly One Day, 1989) and Mahaprithivi (World Within, World Without, 1991). “The three films under discussion all dramatise the bourgeois nuclear family”. [Bishnuptriya Ghosh, 2000]. In each of the three films a crisis occurs when a family member goes missing or dies, though the plots never fully explain what has occurred. In Ek Din Pratidin it is the eldest daughter, also the family breadwinner, who fails to return home on an evening after work. In this film the family is described as lower middle class. However, the English term is somewhat vague and probably fails to define the particular cultural and economic situation of the film. The family in question has seven members: the father, Rishikesh Sengupta (Satya Bannerjee); the Mother (Geeta Sen); the eldest son Tupu ; his younger brother Poltu; the eldest daughter Chinu (Mamata Shankar); her younger sister Meenu (Sreela Mujundar); and the youngest daughter Jhuna . Rikeshesh’ status is identified by the address Rikisheshbabu. Babu can be translated as ‘sir’: “babu culture (the well-educated, cultured, polite middle class who retain a certain Victorian Eurocentrism).” In the Bengali context this is known as bhadralok culture. “Bhadralok sometimes designates education or the kind of labour in which one is engaged; at other times, it is used to demarcate literacy or participation in high culture; at yet others, it creates a marker between immigrant and non-immigrant communities. One’s level of education, accent, emotional restraint, distaste of admitting to material constraints and/or exploitation, and controlled sexuality are some of the classic features of this concept used in gender and class relations as a sign of civilisation.” [B. Ghosh, 2000]. So we are presented with this consciously civilised family set in a context where such values are of great importance. However, the family’s economic situation no longer corresponds to such class values. The father is in receipt of a pension, which is inadequate for the family needs. The son, college educated, cannot find a suitable job but will not undertake manual labour. The three youngest children are in education. Chinu, the eldest daughter. contributes the major income. She has an office position which brings in [with pay and extras] over 500 rupees a month. However, this economic achievement brings with it cultural conflicts with the traditional value relating to gender. It fact the family hangs over an abyss, likely to slide into the world of the proletarian and lumpen proletarian masses of the city. Their situation is dramatised by their position in the house in which they reside. This is an old C19th mansion owned by Darikbabu and whilst he resides on the top floor the rest is rented out to families. Significantly the Sengupta family are on the ground floor, alongside the communal courtyard and by the entry door. Darikbabu`s lofty position is reflected in his treatment of his tenants. He acts as a lord, berating them over the careless use of water and electricity. He also upbraids the family over the question of traditional morals. The mise en scène and camerawork of the film reinforce this hierarchical relationship. A recurring shot is a low angle from the courtyards and taking in or titling up the mansion, towering above. Camera tilts down the building emphasise the cultural descent implied in its layout. The family’s reduced circumstances are also depicted by the cramped constraints of the rooms which they inhabit, emphasised by tight angle shots of groups and individuals within. There are frequent slow pans across groups of faces and tracks across the setting. There is a feel of entrapment, added to by shots through doorways, grills and bars. The film’s plot covers only one night. The pre-title sequence introduces us to the locality and includes a school accident to Poltu. He is tied to his bed for the rest of the film. The narrative is also partly restricted to the confines of the family space. When characters venture out into the city it is predominantly at night, adding a noirish feel to the film. The sense of an alien and dangerous space beyond the home adds to the feeling of paranoia. The main action covers the point in the evening when it becomes apparent that Chinu is late home from work. Immediately the repressed fears of the family start to surface. This angst is fuelled by the mainly unsympathetic interest taken by the neighbours, both in the courtyard and the house. These fears concern the sexual and economic dangers that may have befallen Chinu and may befall her family. But they are also expressions of the traditional values of bapu culture, a culture that provides the uncertain foundation for this community. There are sympathetic characters in the house. Shyamalbabu lives one floor above the Sengupta family. A sign of his greater affluence as he is still in employment. He actively helps in the search for Chinu. A young girl, Lilly shows empathy for the situation of the women: she challenges the moralistic comments of her elders. But others, especially the landlord, exude strong disapproval. As the night progresses the fears and angst of the family increase. Early on Meenu tries to phone Chinu’s office from the local surgery, without success. Then Tupu, helped by his friend Amol [who owns a motorcycle and seems to be a bit of a ‘wide boy’] visits first the police station and then the local morgue. As these actions develop the encircling darkness becomes more obvious and dissension increase within the family. Later the police call at the house. A young woman has attempted suicide: she is pregnant. Rikishesh, accompanied by Tupu and Shyamal visit the hospital. There a group of possible relatives wait for news. The fears and angst of the Senguptas equally consume all. The woman dies and the relatives have to inspect the body: It is not Chinu. Then in the early hours of the morning Chinu returns by taxi. The audience has in fact greater knowledge than the family. We saw a sequence earlier where she boarded a crowded tram. Another sequence showed an unanswered telephone call at the local surgery: presumably Chinu trying to contact her family. Whilst her safe return assuages the fears of the family it does not resolve the repressed fears. The family members show little relief and Chinu herself asks “Do people have no faith in me at all”. The repressed nature of the fears is emphasised when none of the family can bring themselves to ask Chinu where she has been. And this repression recurs later when none of the other tenants can bring themselves to ask the family a similar question. The landlord does descend to the courtyard and threatens the family with eviction: making vague allusions to morals. He is confronted by Tupu who nearly comes to blows with him. Tupu also re-imposes masculine authority by ordering Chinu back into the house. One senses that the landlord will be unwilling or unable to enforce his threat. Morning sees a veil of normality over the courtyard as the house rises. The mother prepares food as on the previous day, though pointedly, the final shot is through the bars of a window. The narrative of the film is predominantly linear and naturalistic. There is one flashback to an argument between mother and son. However, at several points Sen uses what are usually described as Brechtian techniques: distancing devices. The film’s opening, and a later sequence panning over the city, have titles in Bengali, which appear to offer comment. Unfortunately these were not translated in the recent version that I have viewed. Then on three occasions an authoritative voice-over informs the viewer about contextual matters. In the first we are introduced to the history of the house, its tenants and the Sengupta family. The comments conjure up the C19th Raj, when Bhadralok culture developed, with its co-operation with the British occupation. The second sequence explains to the audience Chinu’s importance in the family economy as she travels home. In a third sequence a voice over accompanies an insert shot of Chinu, and the competing voices of the junior family members, asking for gifts from her income. Importantly Meenu does not make such a request; indicative of the empathy she shows for Chinu’s situation. Later she challenges the family’s narrow and selfish fears over the incident. Another sequence with distancing techniques occurs in the hospital scene. The camera prowls round as the waiting relatives voice their fears about the young woman in care: several of these are addressed direct to camera, once more encouraging the audience to consider both the words and what they represent. The soundtrack reinforces the paranoia of the film. There are a couple of melodies but most of the time this consists of modernist music and accompanying discordant sounds. There feel is both unsettling and indicative of the underlying dread felt by the characters. A sound reproducing a ticking clock accompanies the main titles and recurs throughout the film, emphasising the slow passing of time as experienced by the characters. Though only 91 minutes in length Ek Din Pratidin is a powerful film, developing a melodramatic situation, fraught with perils for the characters. Yet it also encourages the audience to step back and consider the economic and cultural forces that develop the melodrama in a particular way. 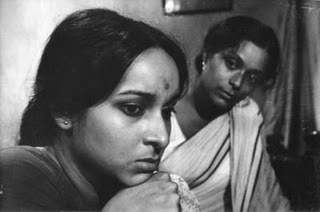 Apparently family melodramas were a popular genre in the Bengali cinema of the 1950s and 60s and they generally supported the dominant bhadralok culture. [B. Gosh, 2000]. Sen beautifully subverts this type of story and situation, but allows the audience to both involve themselves in that story whilst [possibly] considering and understanding its position in the larger social scheme. 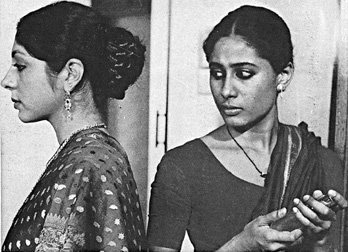 Bishnupriya Ghosh, Melodrama and the bourgeois family: notes on Mrinal Sen’s critical cinema in The Enemy Within The Films of Mrinal Sen, edited by Sumita S Chakavarty, Flicks Books, 2000. The article, and the book, are rather academic. I also think some points on the film are mistaken. However, there is a lot of useful comment on the context, including on Bengali cinema. The film has been distributed in the UK and was screened on UK television [I think C4] in the 1980s. Currently available on Angel Digital DVD. Unfortunately the colour is now very washed out and night-time scenes are pretty dark. The subtitles probably contain errors. A translation of a comment reads, “1897 … the revolutionary year of the soldiers.” This is a reference to the Gadre or Great Rebellion, which occurred in 1857. Bangladesh 1973. Written and directed by Ritwik Ghatak. Restored in 2010 by the World Cinema Foundation and Cineteca di Bologna. 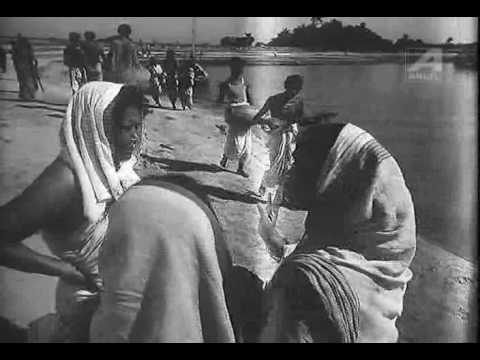 158 minutes, in Bengali with English subtitles, black and white, 1.37:1. Available in 35mm and High Definition versions. “If you were eighteen years old, growing up in New Delhi, a student of cinema, a cinephile or a plain film snob, it was given that you would swoon over the film-maker Ritwik Ghatak and spend endless hours in the Delhi University canteen discussing his film, his alcoholism and his eventual death from Tuberculosis. … years later when I saw his epic, A River Called Titas, [that] I swooned for different reasons. The film is a work of pure genius. A passionate elegy for a dying culture, it moved me profoundly, and continues to haunt me to this day.” Deepa Mehta in Il Cinema Ritrovato Catalogue, 2010. Ghatak is a key filmmaker and influence in Indian cinema, but is much less well known in the West: David Thomson’s Biographical Dictionary omits him completely. Apart from a series of nine feature films Ghatak was also Professor of Film Direction at the Film Institute of India from 1965 to 1967. Here he influenced a generation of young cineastes, including a number who were to become important in Independent Film production. Ghatak was born in East Bengal in 1925, then part of the Britain’s Indian Empire. 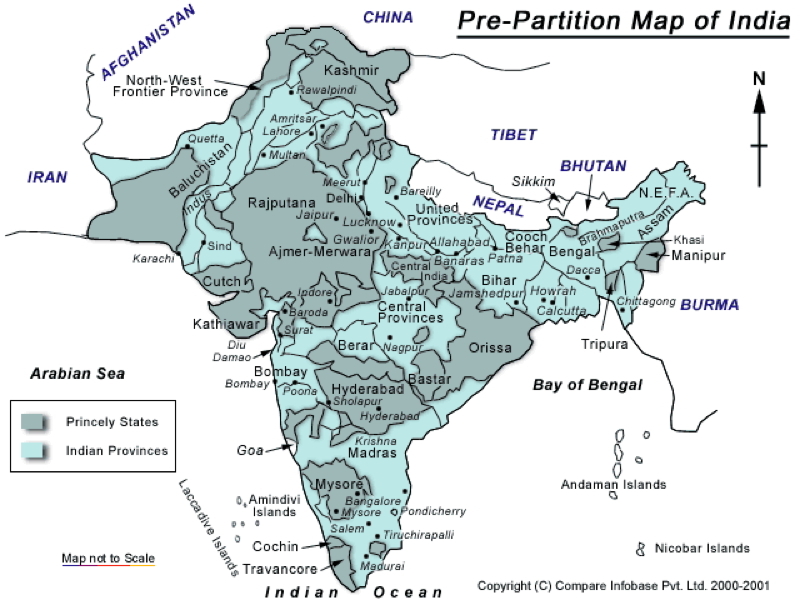 Later East Bengal was included in the partition of the sub-continent into India and Pakistan. After the 1971 war of secession it became Bangladesh. Whilst he was young Ghatak’s family moved to Calcutta. In the 1940s he became politically active and worked in the Indian People’s Theatre Association. This was a radical cultural organisation associated with the Communist Party of India. It was very influential in the early years after Independence including in mainstream and independent filmmaking. Ghatak (among other works) staged plays by Bertold Brecht, who was an influence on both his stage and film work. Ghatak started work in Indian mainstream cinema as an actor. He became a scenarist at the Bombay Filmistan Studio in the 1950s, working with the major film director Bimal Roy, [Roy’s most famous film is Do Bigha Zameen (19540 which was seen as influenced by Neorealism]. Bengal was not only the scene of strife in the dismemberment of India. It had suffered badly under British colonial rule, especially in the major famine of 1943. This social and personal history left a strong mark on Ghatak’s work. The sense of loss, exile and conflict are powerfully felt in his films. Bengal was also the home of Satyajit Ray. However, whilst both filmmakers use a form distinct from popular mainstream films, they are themselves rather different. 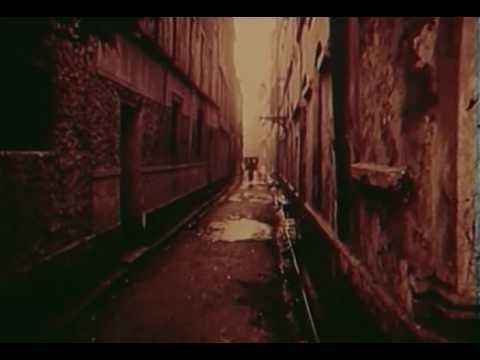 Both filmmakers often create a documentary look, and show the influence of Neorealism. And Ghatak shares with Ray an ability to integrate characters with landscapes, and he also make compelling use of indigenous music. However, Ghatak uses songs rather than instrumental pieces, and these offer a commentary on the characters and events. 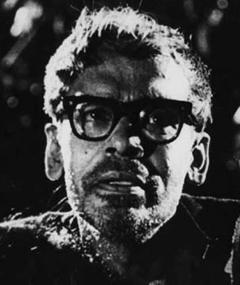 Moreover, Ghatak favours a style which included the melodramatic, a staple of popular Indian films. His work offer frequent dramatic close-ups where the emotions and conflicts experienced by the characters are powerfully presented. But these are often counterpoised with long shots and long takes, creating a sense of distance from the scene. Ghatak tends to a style which might be term Brechtian, in the sense that it not only encourages the viewer to stand back a little, but also to consider and appraise the events in the film story. The overall style tends to the elliptical; both the overall narrative and individual sequences are often disrupted by abrupt changes due to visual and sound edits. The soundtracks in Ghatak’s films are especially noticeable, with both songs and noise changing abruptly. A River Called Titas is typical of this approach. The film is adapted from a classic Bengali novel of the same name by Adwaita Mallabarman. The film is structured as much by symbolism and myth as it is by the development of a plot. Especially on first viewing the progress of character and plot can be difficult to follow. [The following contains general plot information]. The tale is set among the Malo fishermen who toil on the waters of the Titas. The community includes both Hindu and Muslim families, though Hindu characters dominate the narrative. The central figures are Basanti, a young girl: Kishore, a fisherman: Rajar Khi, Kishore’s bride; and Ananta, Rajar’s son. 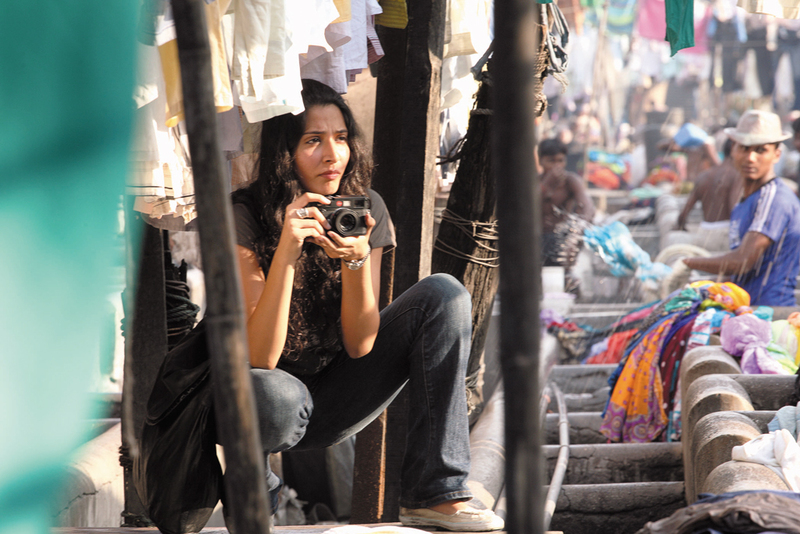 We first see Basanti as a young girl in the village. Kishore and his brother Subol go on a fishing trip. 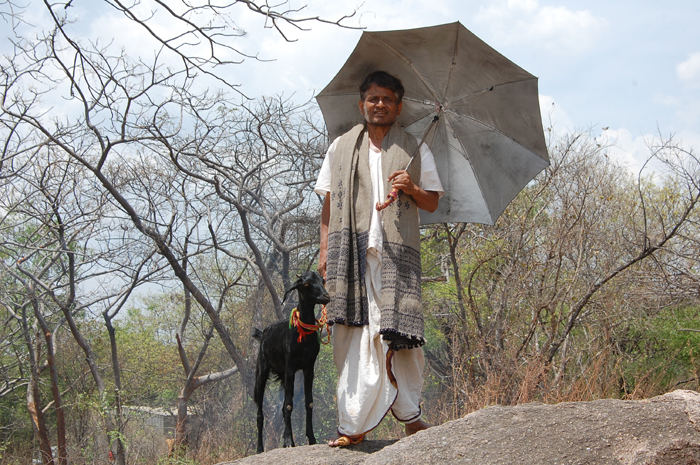 It is on this trip that Kishore meets Rajar, whom he rescues in a village conflict. He then marries her and takes her back to his village. However, river bandits abduct her and this drives Kishore crazy. Basanti, who envisaged marrying Kishore, marries Subol instead, but he is drowned on the day of the wedding. There is an ellipsis of ten years. Rajar with her son Ananta arrives in the village seeking shelter. Neither she nor Kishore recognise each other. The situation creates conflicts over traditional values regarding marriage and child rearing. Kishore is attacked and dies, and Rajar drowns alongside him. Basanti now takes care of Ananta; a situation objected to by Basanti’s parents. More village and domestic feuding lead to Ananta leaving to live with another family. Meanwhile the Brahmin landowners stir up conflicts and demand the repayments of loan from the fishing and farming families. At the end the river dries up (partly due to a scheme engineered by the Brahmin landowners). The village falls apart. “The River Titas flows on but tomorrow it may be bone dry. We then see Basanti stagger through an arid desert where she digs for water. Dying she has a flashback or vision of a young boy running in green fields, [possibly Kishore], and the film ends on a freeze-frame of her. The Radha/Krishna/Rukmini relationship seems to parallel that in Ghatak’s film between Basanti/Kishore/Rajar: [and also relates to the romantic triangle in Lagaan]. Another marital aspect of the Krishna myth includes thousands of maidens who he rescued from captivity and married in order to save their honour. This clearly relates to the situation of Kishore and Rajar after her kidnapping. There are also mythical parallels to a Hindu goddess. Rajar and Ananta are seen before a shrine to Bhagwati [another name for the Durga, the ‘Mother Goddess’]. Later in the film Basanti is also associated with Bhagwati. This seems a clear parallel for the important theme of motherhood in the film. There is a lot more complexity in the plot and characters of the film, and I think Western viewers will probably need more than one viewing to assimilate all of this. There is also a rich palette in the film’s visual and aural style. 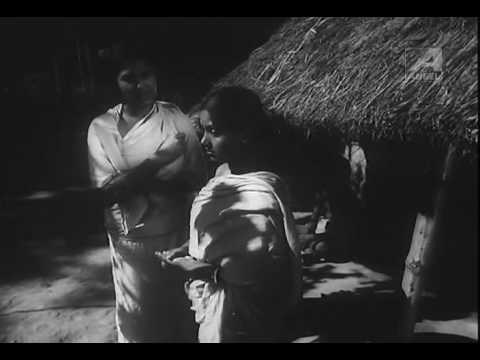 Ghatak has a great command of camera and mise en scène. There are numerous fine sequences. In particular late in the film there is a boat race on the river, which is enthralling in its presentation. This is a film which one should encourage local exhibitors to book and screen. There is a bfi DVD available, though it is taken from a pre-restoration print. Two online reviews, which I found especially interesting, are one on Hobgoblin Reviews by Lynda Parker: http://www.thehobgoblin.co.uk/REVUES.htm. This has informed comments about the political context for Ghatak’s film. And Journey through Bangladesh by Audity Falguni relates the source novel to the area in which it [and the film] is set: http://www.thedailystar.net/starinsight/2010/01/03/jny.htm. There is an entry on another Ghatak film, Subarnarekha (1963) on this Blog. Note, film quotes taken from the English subtitles.